afrol News, 15 March - Anti-government protests are gaining space in Burkina Faso, one of West Africa's least democratic countries. Massive student protests have already led to the closure of all universities. Students in Burkina Faso have already protested for several weeks to demand improvements of the country's education system. But as police violence last week resulted in the death of one protesting student, the limited protests turned into massive riots. 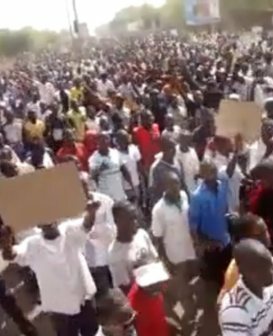 On Friday 11 March, the Burkinabe capital Ouagadougou saw large student demonstrations mourning the death of a colleague, with several thousand youths participating. Again, protesters were met with police brutality. Protesters were dispersed with teargas and batons. Meanwhile, at least six protesters have been killed in violent confrontations with the police and up to hundred may be wounded. President Blaise Compaor� has tried to maintain a seemingly "neutral" stance after protests turned violent, condemning violence by both parts. Several policemen have been fired and two jailed over violence charges. Meanwhile, the students are accused of igniting violence and vandalism. Today, all universities in Burkina Faso were closed by presidential decree in an attempt to stop further violent protests in the country. What started as student protests and strikes now however seems to develop into a national protest movement in Burkina Faso. Protesters now demand that four top government ministers must be fired, blaming them for both failed education polices and police violence. tional student association are calling for nation-wide protests on Thursday and Saturday, 17 and 19 March. So far, President Compaor� has not been challenged directly by the student protesters. But the new calls for general protests are directed against the long-time Burkinabe President. It remains unsure who stands behind the general protest call and whether these are groups with a foothold in Burkina Faso or only in the Diaspora. But the Compaor� regime is becoming visibly nervous about the protest movement threatening to become wider. Reports from Ouagadougou today indicate the city is dominated by the armed forces. Also other Burkinabe cities reportedly have a higher than normal army presence. President Compaor� came to power in a military coup in 1987. Since 1991, and latest in 2010, he has been elected five times to the Burkinabe presidency in more or less credible elections. The opposition has claimed systematic electoral fraud at each poll, at one occasion even boycotting elections altogether. 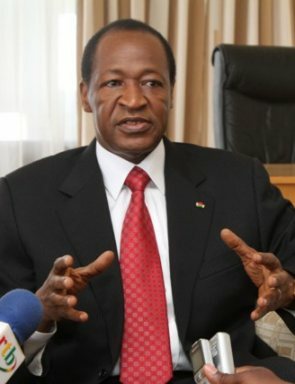 Mr Compaor� has governed Burkina Faso in a relatively liberal manner, without systematic human rights violations or becoming too authoritarian. By now, however, the rest of West Africa - with the exception of The Gambia and C�te d'Ivoire - have moved forward to real democracy and the Compaor� regime stands out as an ancien regime without true democratic institutions.